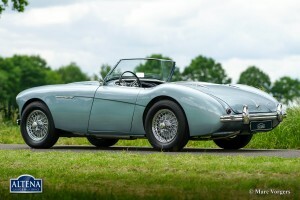 Austin Healey 100/4 BN-1, year 1955. 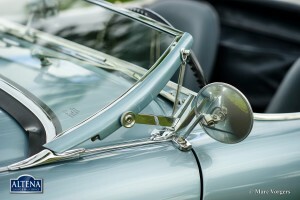 Colour ice-blue metallic. 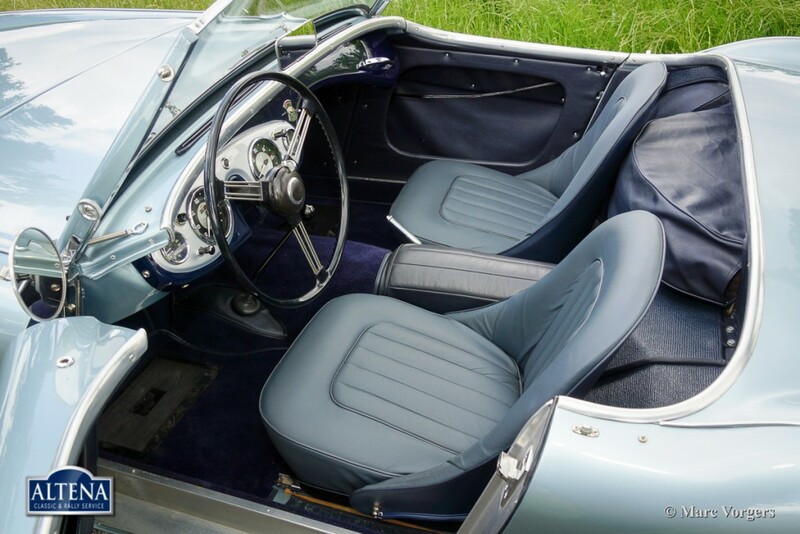 Blue leather interior and blue carpet. 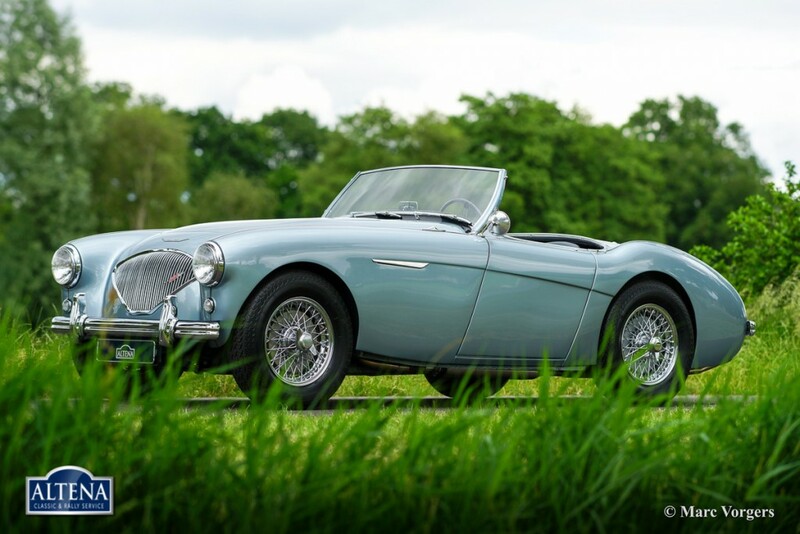 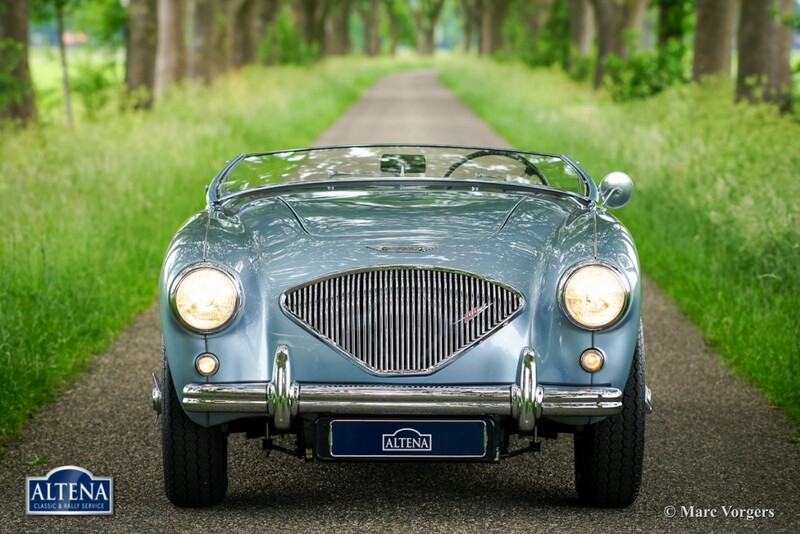 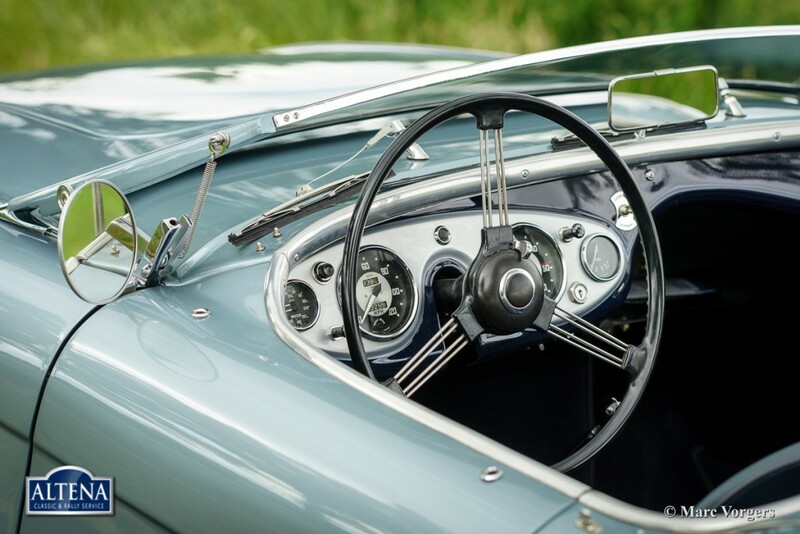 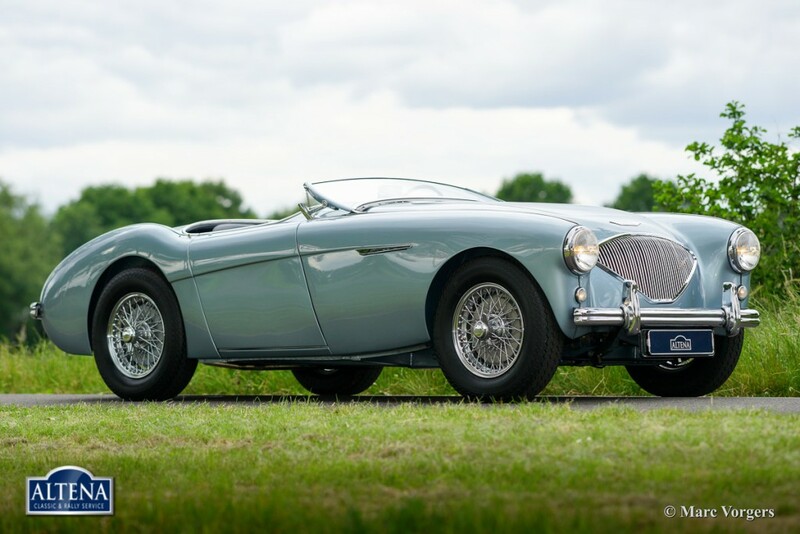 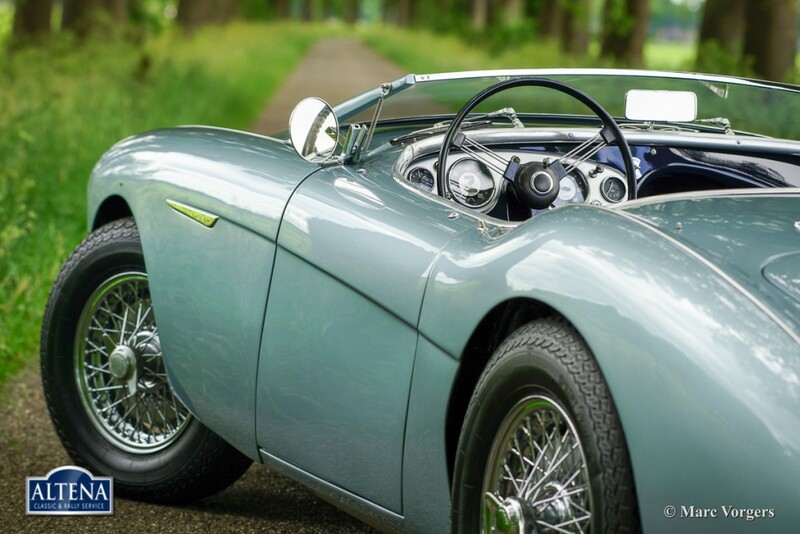 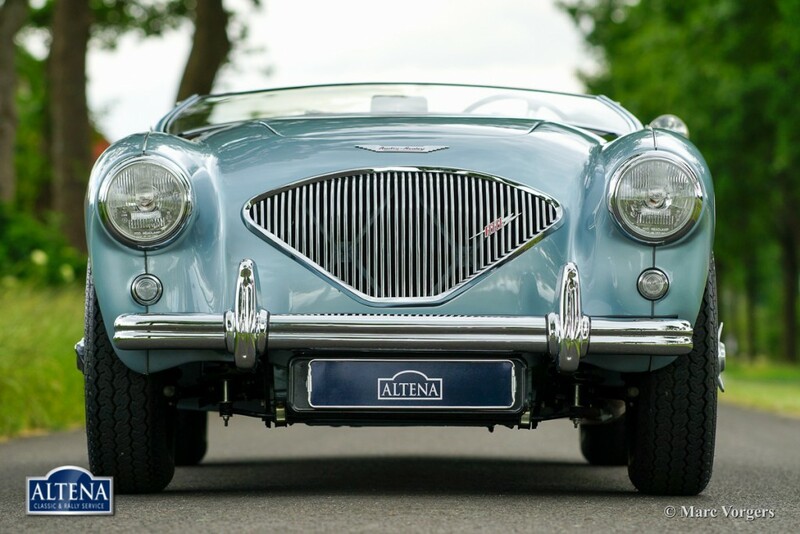 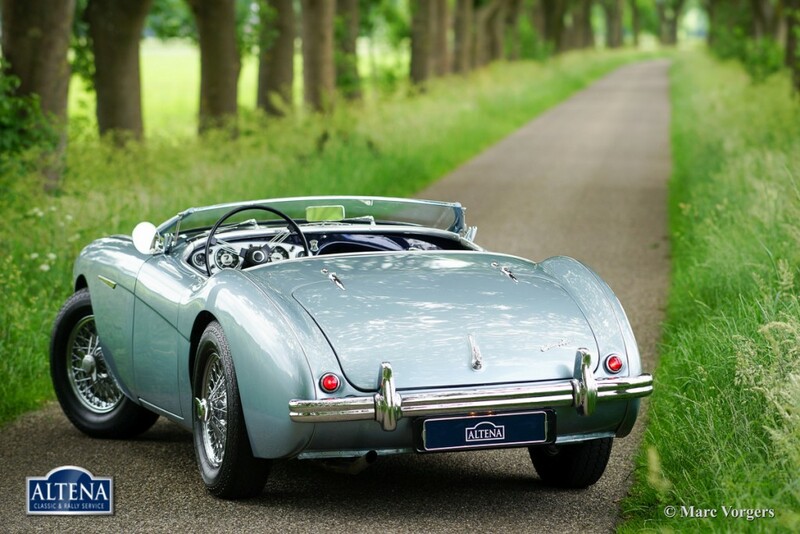 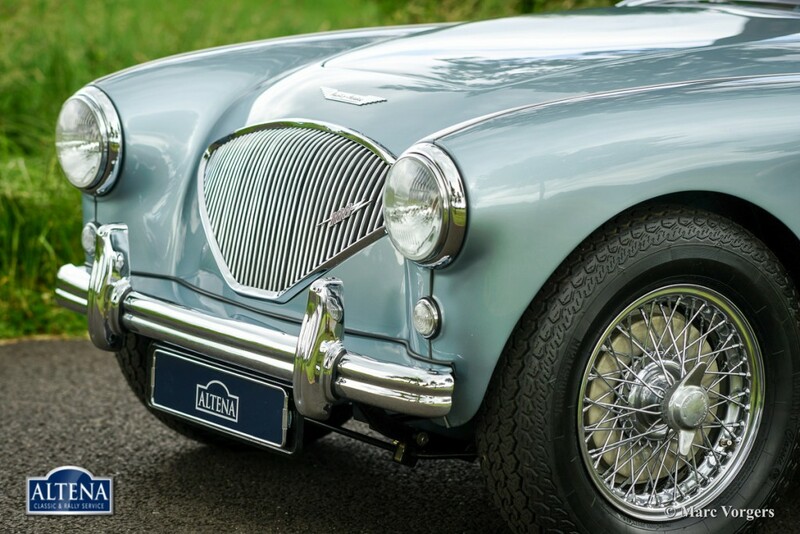 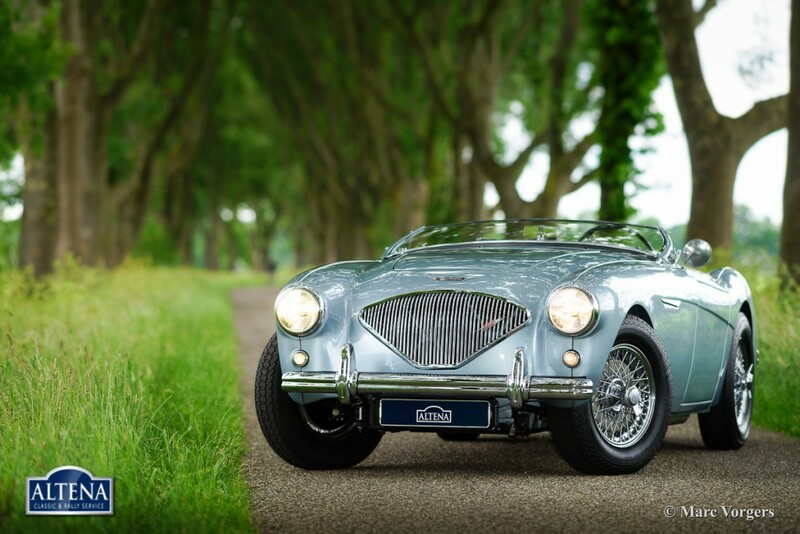 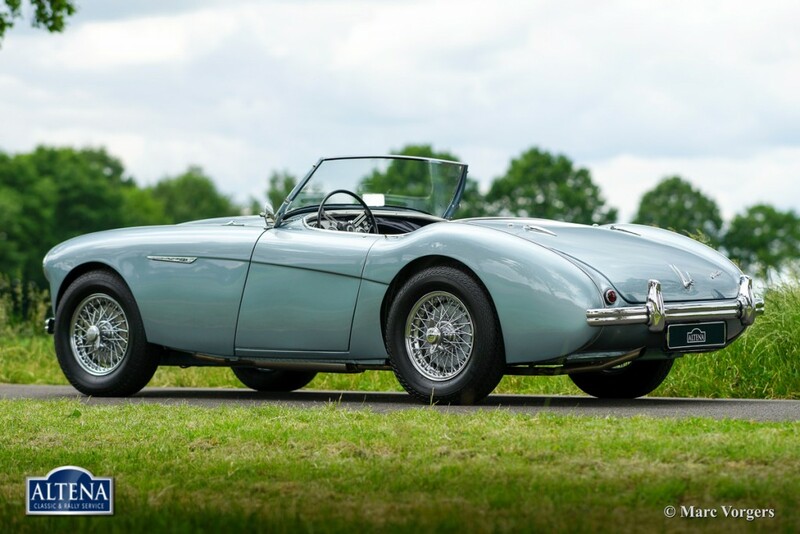 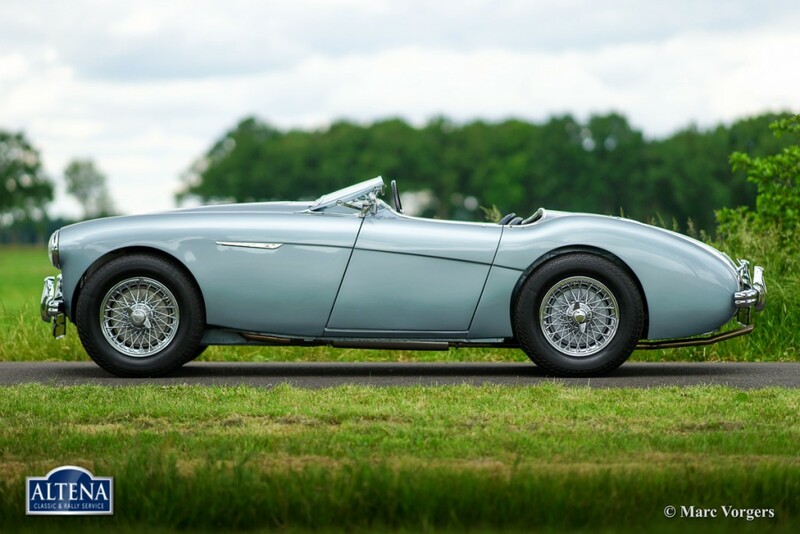 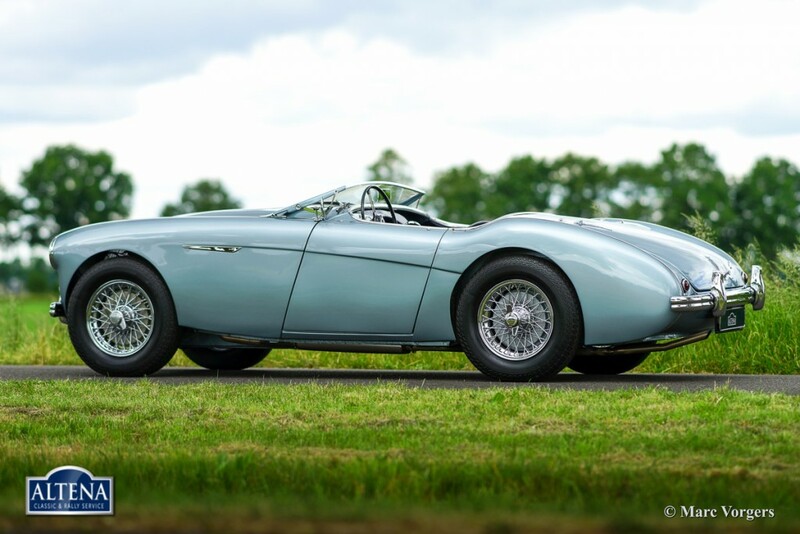 This fabulous Austin Healey 100/4 with matching numbers and Heritage certificate has been extensively restored some years ago, the automobile is in superb top-condition, concours! 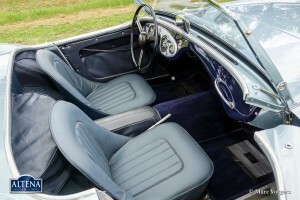 With the car comes a restoration photo report. 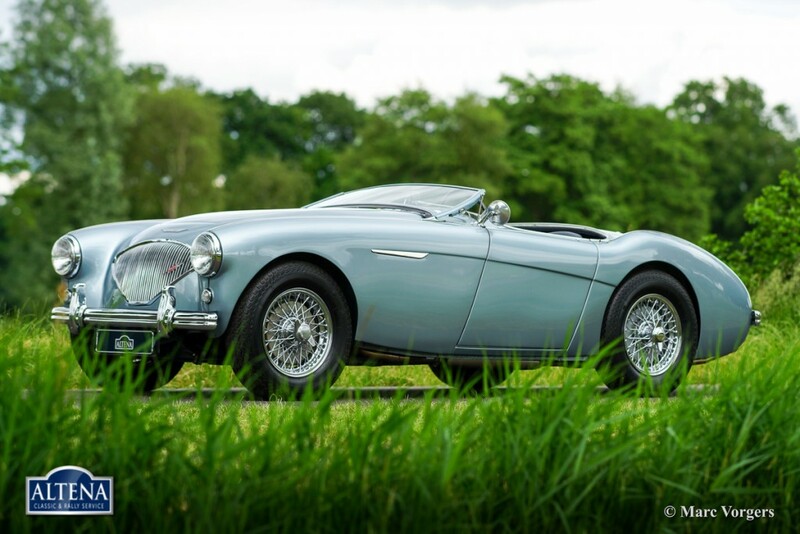 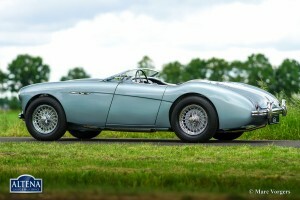 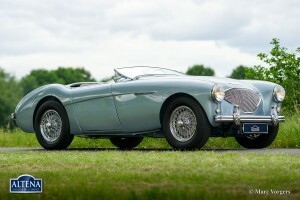 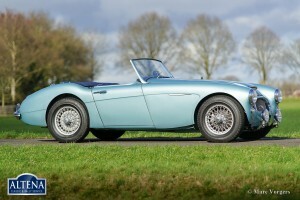 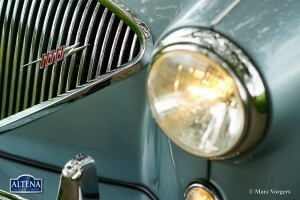 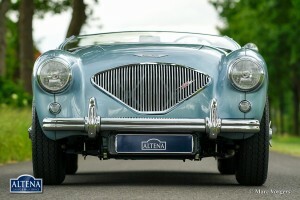 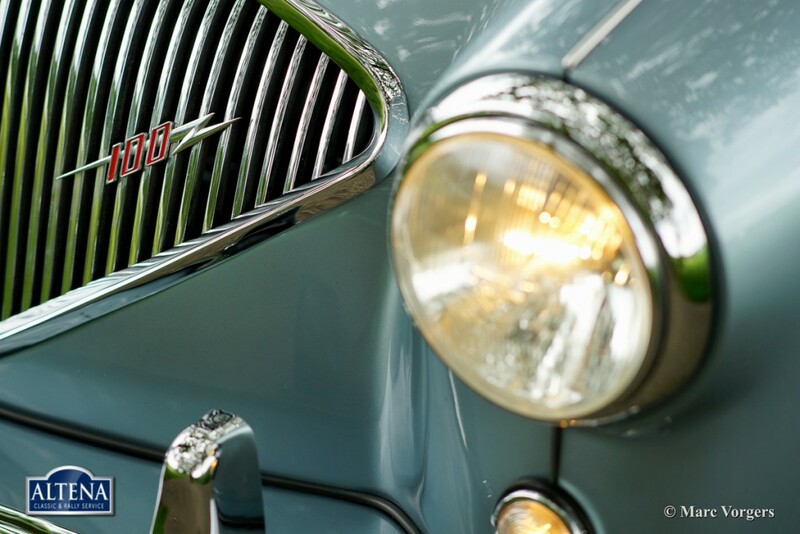 This fine Austin Healey drives superbly, this is a top specimen for the discerning enthusiast or collector.